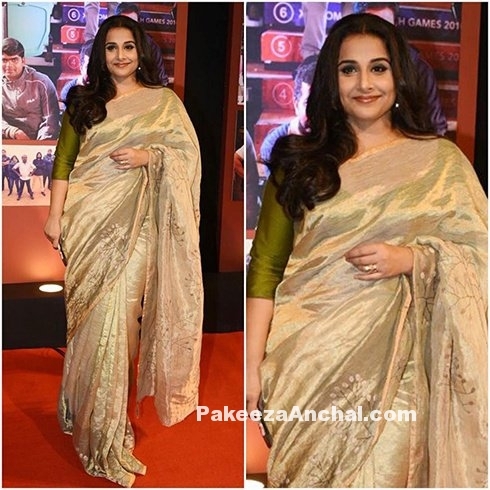 Vidya Balan was seen shining in brownish cream Tissue Saree with self print along with a mehendi color full sleeved blouse design by Anavila. She looked graceful in Saree with minimal make-up, dark brown lips and wavy hairstyle for the event. She as attending Dangal’s success party in wearing this pretty Indian Ethnic wear.